Chad Tredway has been an automotive forensic examiner for over 15 years and has examined over 7,500 burned and non-burned vehicles. Chad Tredway has testified in court over 20 times. 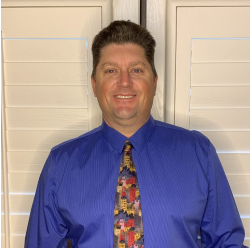 Chad Tredway is a California Licensed Locksmith, a California Licensed Private Investigator, Certified in Basic Applied Forensic Science from California State University at Fullerton, a Certified Automotive Locksmith, a Certified Fire and Explosion Investigator and a Certified Forensic Vehicle Examiner. Chad Tredway is a member of the National Association of Fire Investigators, the International Association of Investigative Locksmiths, the International Association of Auto Theft Investigators, the Coalition Network of Forensic Examiners, the International Association of Arson Investigators and the California Conference of Arson Investigators.